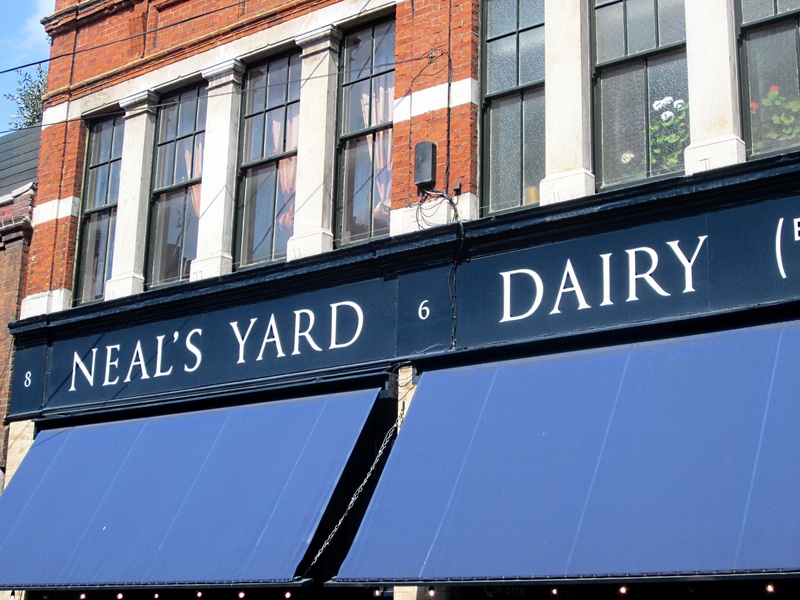 I had Neal’s Yard Dairy on the top of my list. We first walked by their shop in the convent garden area before our breakfast at the 26 Grains. 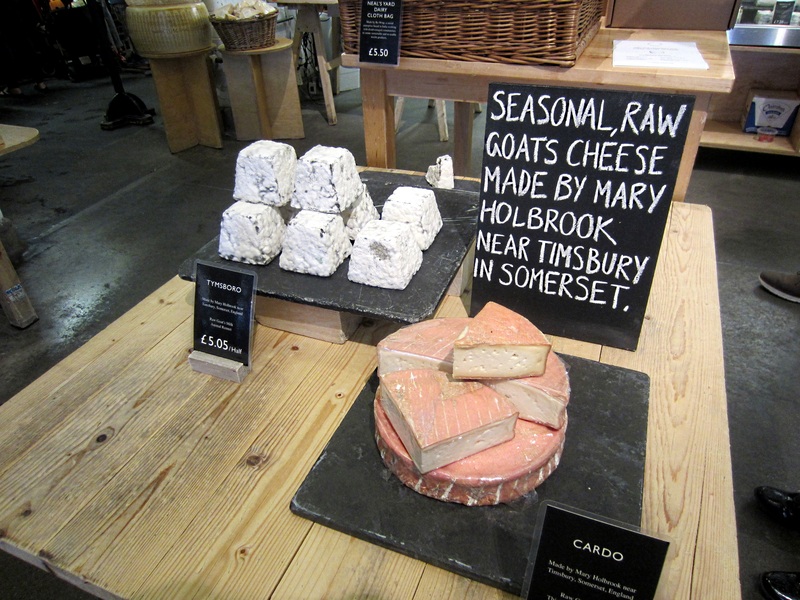 After breakfast, I went into the shop to inhale all the amazing cheese aroma and came out determined to go to their Borough Market location the following day. We sampled four cheddars and purchased three of the four sampled. 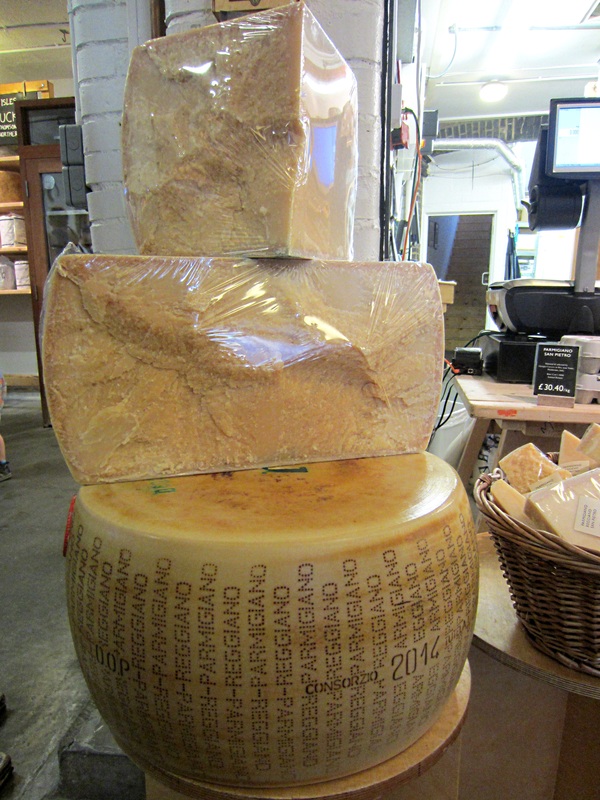 The lady that helped us gave me a sample of their Parmigiano-Reggiano. It was aged only two years so nothing different from what I usually buy. She really wanted me to try one of their blue cheeses also and even though it was tasty, I found it too salty for my taste. 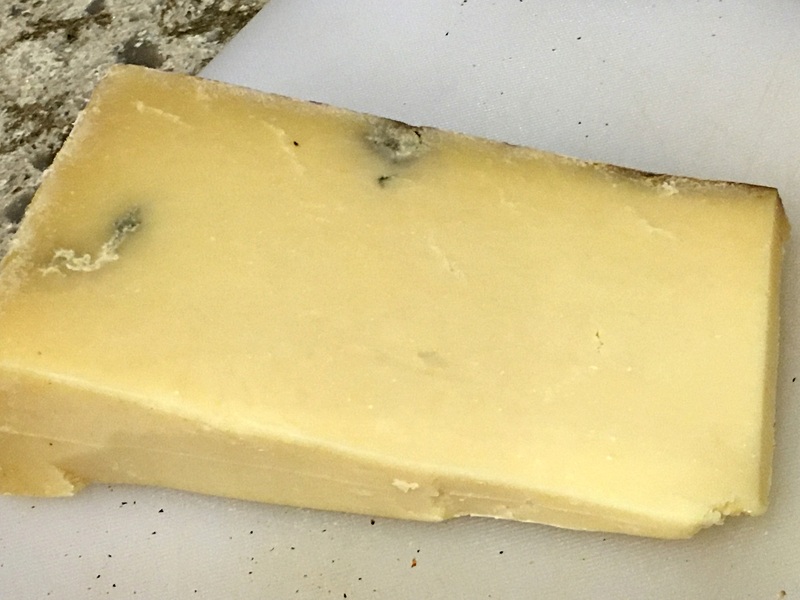 Two of the cheddars we picked had bluing going on and she said it was very common with these types of cheese and gave us a little discount for it. She was very friendly and helpful and double wrapped our cheeses so it would travel well. I had read that putting your cheese in the checked luggage is a better way than the carry on that I usually used in the past. of course that added to the stress of worrying about your luggage getting lost. With our luck and thanks to long lines at the TSA, we missed our connecting flight. When the gate agent told us we had missed our flight, I was like, what? What is going to happen to my cheese? I persisted and the agent gave us two sets of tickets. One for stand by. I guess the god’s of cheese were on our side and we made that flight. At the end, we were more than one hour late but the cheeses survived the journey! Isle of Mull cheddar is from Scotland. It had a sweet, rich taste and my favorite of the three cheddars we bought. Hafod Cheddar is from Wales area. Every time I tasted this cheese I wondered why it tasted like it was cut on a board that had onion flavor. To my surprise I just learned that oniony is one of the characteristic of this cheese. Any day that you learn something new is a great day. 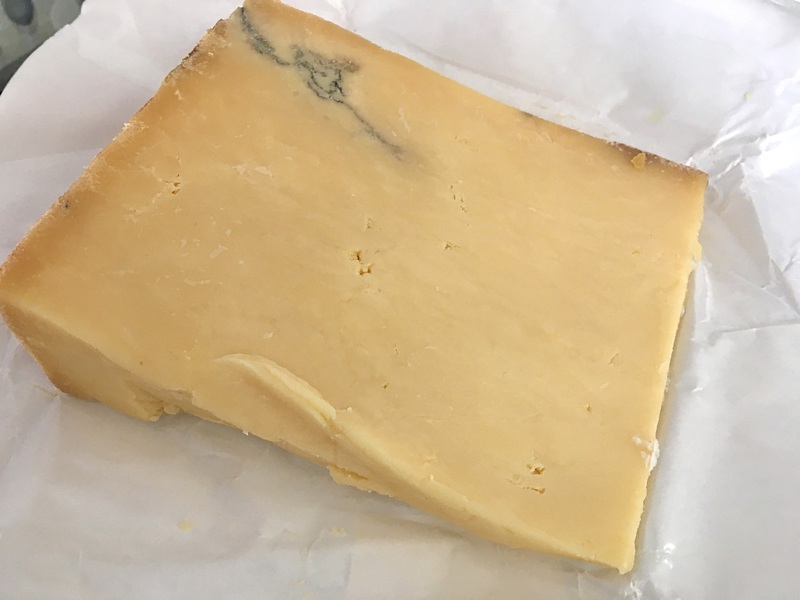 According to the cheesemonger, the bluing occurs naturally because of the small cracks in the cloth-bound rind. 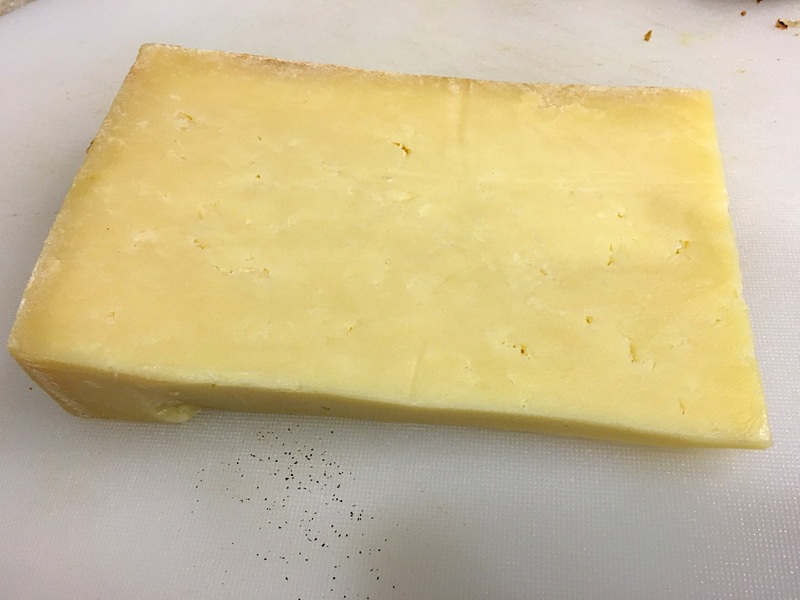 Montgomery’s Cheddar is from the Somerset area. 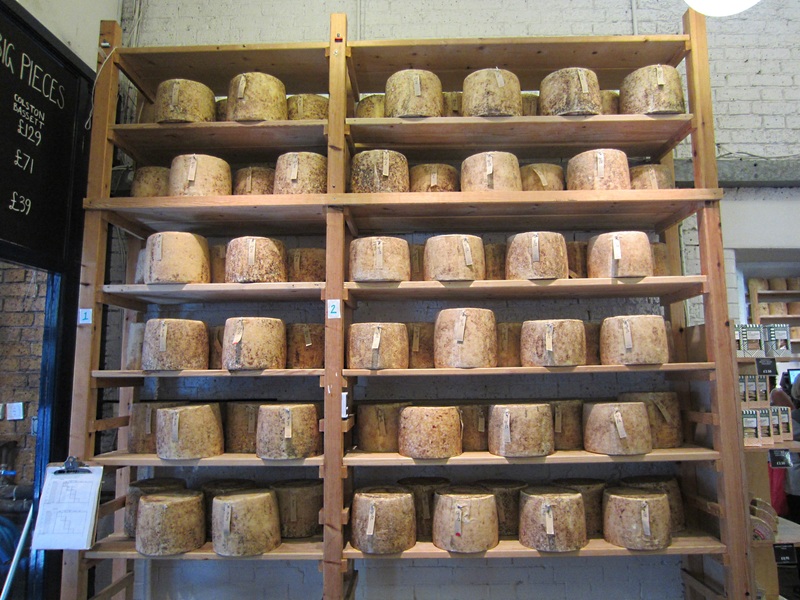 Drier in texture and suppose to be their best selling cheddar.